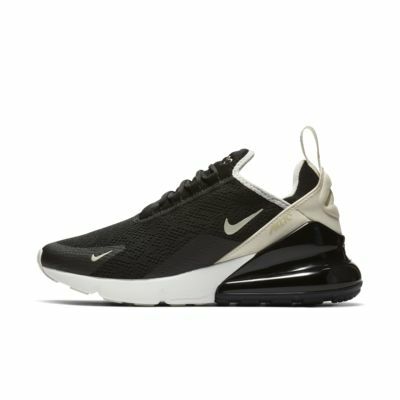 Brought the Nike Air Max 270 in light cream/terra blush/dusty peach/metallic gold in a size 7. Tried it in the store and it fits great but I wore it Two times and my feet slides to the front of the sneaker and my toes is a little squished. Should of get a half size bigger. Just what I was looking for I am satisfied!!! So I bought these in the peachy color for style and then I wore them on a workout day because I forgot my normal workout shoes and OMG. These shoes are so amazing to work out in that I had to come and write a review and I don't typically write reviews. So now I am back to buy 2 more pair. I wear a 7.5 normally and did have to return them for an 8. 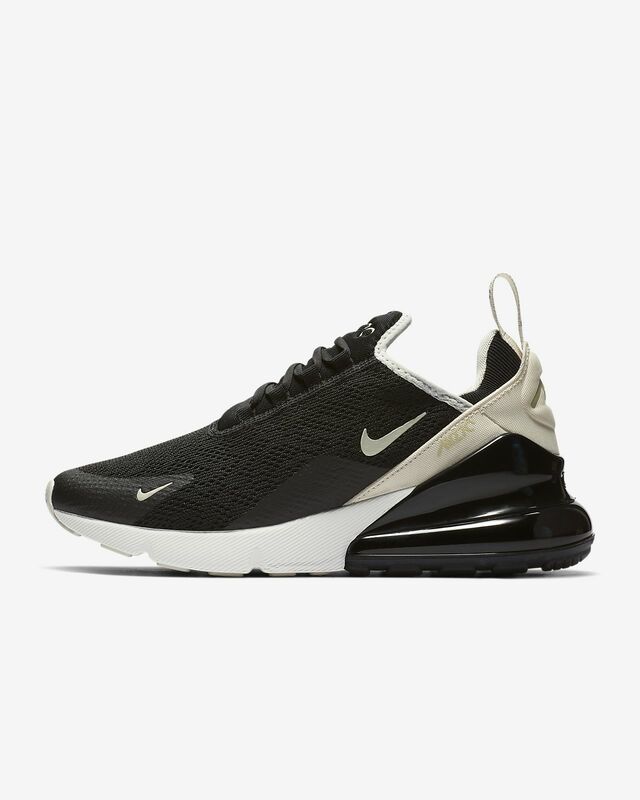 So if you are getting these get a half size bigger. Also I wear without socks casually and with socks when I work out. This is my new workout shoe for sure. Thanks Nike for making my feet happy as usual.